These beautiful beech trees were planted by the Stuart family in the eighteenth century. This compelling landscape feature was intended to impress visitors as they approached the entrance to their Georgian mansion, Gracehill House. Two centuries later, the trees remain a magnificent sight and have become one of the most photographed natural phenomena in Northern Ireland. 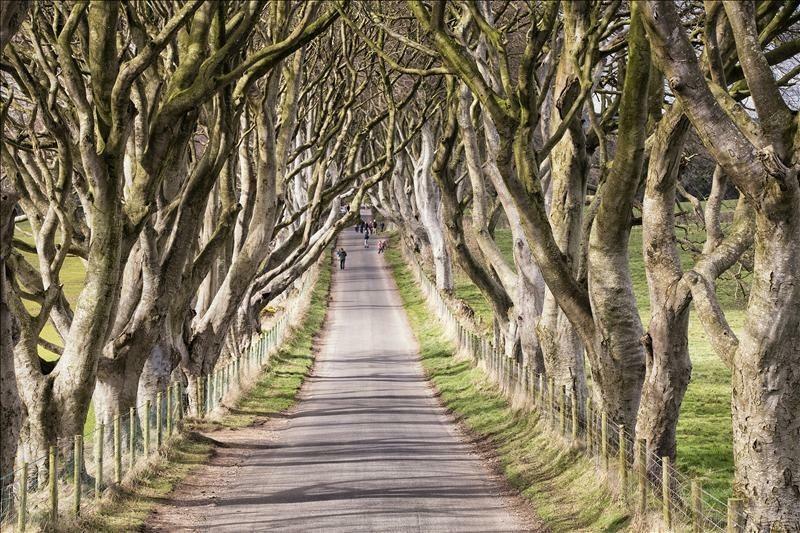 The iconic trees have been used as a filming location in HBO’s epic series Game of Thrones, representing the King’s Road.